Welcome to "Hope Valley RV and Campground!" We make camping fun and affordable! Full service sites available with wifi and cable! 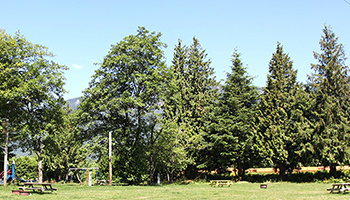 At Hope Valley RV we boast some of the greatest scenery on Earth and surround your sites with some of the most beautiful trees that BC has to offer. Here are some more awesome perks! -- Service with a smile! Hope BC accommodations allow the visitors to explore the area at the mouth of the Fraser River Canyon, 150 km (93 mi) east of Vancouver. 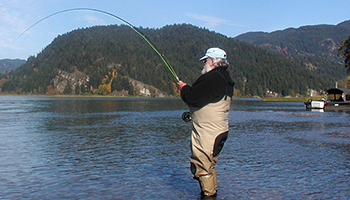 Our Hope Valley RV Park is located in a comforting and attractive scenery within the District of Hope, which is a city that offers endless outdoor adventures: hiking, biking trails for every fitness level plus river rafting, fishing, boating, golfing, rock collecting, and gold panning. Hope Valley RV Park and Campground offers over 150 sites, those are cabins, fully serviced RV sites, partial serviced RV sites, and multi-use tenting sites. More facilities can be found under the Reservation tab located on the top of this page. We' re always ready to serve you! Finding a great spot for your RV at an affordable rate is what we specialize in. We have been taking care of customers since the 1970's and believe that genuine low prices with exceptional service is the key to our longevity. Camping at Hope Valley RV is a great experience. 2015 ©HOPE VALLEY RV PARK, ALL RIGHTS RESERVED.